Indiana consistently lands near the bottom of the nation's health ranking lists, with too many babies dying before their first birthday and too many people smoking and abusing drugs. Indiana's preeminent research universities are collaborating through the Indiana Clinical and Translational Sciences Institute (CTSI), which has recently been awarded more than $33 million in renewed National Institutes of Health (NIH) funding for the next five years. The institute was founded in 2008 by Anantha Shekhar, MD, PhD, Indiana CTSI director and IU associate vice president of research and University Clinical Affairs. "We are thrilled to receive this continued support from the NIH," said Dr. Shekhar, who is also executive associate dean for research affairs at IU School of Medicine. "It enables us to continue improving health for people living in Indiana, to recruit more researchers and seed innovations in the state, and to speed the movement of discoveries across the universities' labs to solutions benefiting people living in Indiana." "The Indiana CTSI was founded in 2008 to improve health and the economy of Indiana and beyond through building translational research programs," Dr. Egan said. "The institute used its first multimillion dollar award from the NIH to build research infrastructure, recruit talent and identify the state's greatest health challenges. The CTSI's second grant award built bridges and collaborations and initiated research projects. Now, we are seeing the outcomes of that effort and improvements in health are being made, with more to come." 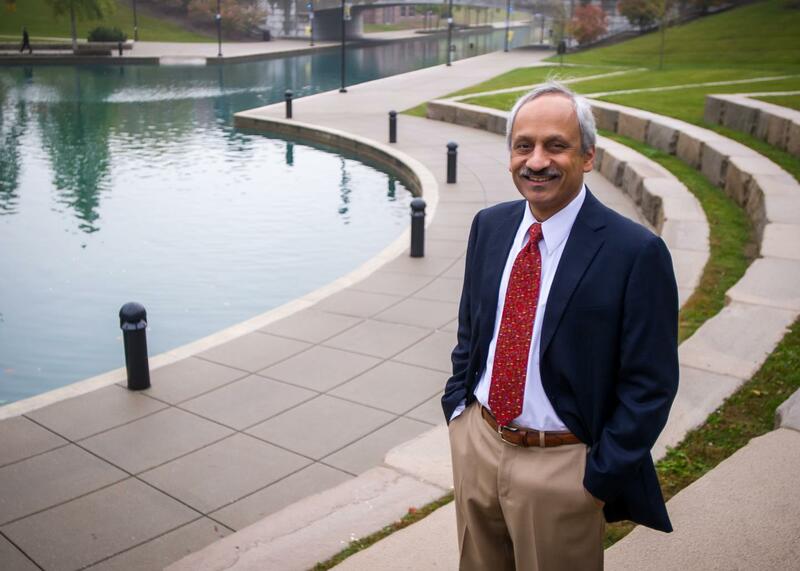 "There is no better time than now to be living in Indiana from a health perspective," Dr. Shekhar said. "Our vision is of an Indiana that is one of the nation's healthiest states, and in order to achieve that goal, we need community participation in all phases of research–from the basic science that happens in the laboratory to the clinical care provided to patients–to help shed new light on the best ways to prevent, treat and manage health issues in our state." The All IN for Health website, http://www.AllIN4Health.info, provides valuable resources aligned with the major health issues affecting Indiana, such as information for expectant mothers interested in quitting smoking. The website also offers opportunities to become research volunteers and be matched to any of the 1,000 active Indiana-based research studies made possible through IU, Purdue and Notre Dame. One such study is part of the new FIT Core located at the IU School of Medicine. FIT stands for Functional, Imaging Tissue Core and allows participants to get screenings of grip, gait speed and bone density at no charge. All IN volunteers receive an email when they are matched with a study and can then decide if they want to participate. The program's director Tiffany Campbell said listening to the public is also critical to achieving the Indiana CTSI's long-term goal of making Indiana one of the nation's healthiest states. "Until we clearly understand the full picture of health–including individual motivations–for a diverse population of our state's residents, we won't be able to come up with more successful solutions that will last," Campbell said. "We know Indiana's health issues are complex and personal, so we need to meet people where they are. There may be communities with higher rates of smoking, and that needs to change, but if those same people are living in a food desert, then access to food becomes much more important to those community members." There are two ways to sign up to be "All IN for Health": Visit http://www.AllIN4Health.info and subscribe to its email newsletter containing resources for healthy living or sign up for the program's volunteer registry to participate in health research. Community organizations are also encouraged to join the initiative by sharing All IN resources with their constituents and adding their health resources to All IN's website. The new grant is the Indiana CTSI's third, five-year Clinical and Translational Science Award (CTSA) from the NIH's National Center for Advancing Translational Sciences. The CTSA Program, which includes a nationwide network of more than 50 academic medical centers, aims to improve the translational research process to get more treatments to more patients more quickly. "The Indiana CTSI is an incredible asset to the State of Indiana. This program is one of the best of its kind in the country and enables our research universities and private companies to collaborate, speed clinical translation and have more impact," said Jay L. Hess, MD, PhD, MHSA, vice president for University Clinical Affairs at IU and dean of the IU School of Medicine. "This new grant and the programs it makes possible will not only benefit our researchers, but will ultimately improve health for countless Hoosiers across the state." The Indiana CTSI brings together the state's brightest minds to solve Indiana's most pressing health challenges through research. It is a statewide partnership among Indiana University, Purdue University, the University of Notre Dame and numerous life sciences businesses, government entities and community organizations. The Indiana CTSI engages with the public at every level of research–from basic science to patient care. It has been continuously funded by multimillion dollar grants from the National Institutes of Health since the Indiana CTSI's founding in 2008 and is housed at the Indiana University School of Medicine. For more information, visit indianactsi.org.